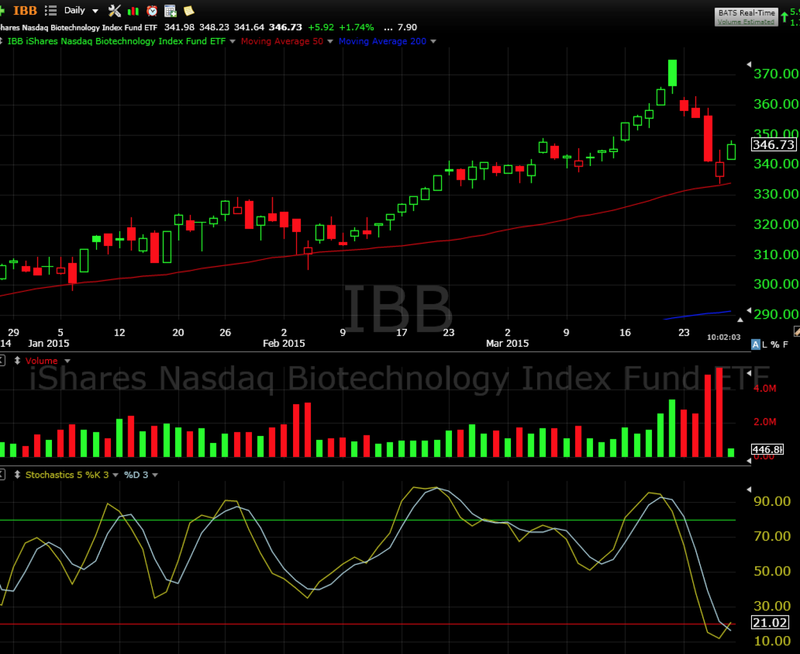 The Biotechnology ETF IBB had gone parabolic and sold off on Friday and continued with a hard pullback to the 50 day moving average. Yesterday we went long at the close. Why did we go long on a stock that sold off so hard? A few days ago we talked about not fearing pullbacks. Here, the stock was testing the 50 day moving average and stochastics were extremely oversold under 20. This is a low risk/high reward setup. Using leveraged biotech ETF BIB we are currently up almost 10 percent.